There are many ways to deal with awkward absences and one of them is to pretend that they never happened. So, for now – we’ll pretend that I have not abandoned you for over 60 days and I’ll write a review. As it is a Thursday. The past month has seen quite an interesting movement in the Mass Effect universe. After Bioware declared that they were going to move its release on a few months, they’ve managed to keep themselves in the news through releasing trailers, statements and a beauty pageant for their award winning series. Beauty pageant you ask, for a first person shooter? Why – yes. 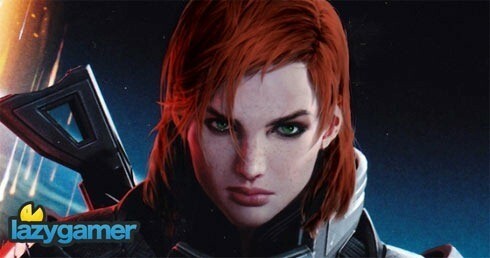 Using the social Evil known as Facebook, Bioware posted six pictures of the different female leads, fondly known as FemShep (short for Female Shepard) to her fans on their website and asked viewers to vote for their favourite. The logic behind this was simple: Ever since the release of Mass Effect 1, FemShep has been ignored by her creators despite the fact that Jennifer Hale did an absolutely amazing job with the voice acting. (For myself, I always choose FemShep because there’s something… Charming about a female lead saving the galaxy. I’m tired of big, brawny soldiers running around and being heroes. Us girls can do it to). This time round, they decided that FemShep was not only going to get her own trailer (the video kind naturally) but also a marketing campaigne. And the fans could choose what she looked like. It sparked a bit of an outcry in the community. We had a default FemShep. She was a red head, with green eyes, shortish hair but not butch, and a lovely voice. But, we were game to see what Bioware had install for us. The results were atrocious. I had gone to the page, looked at the candidates and thought: WHAT THE HELL?! I left without voting – I didn’t even want to get involved in that mess and my heart sank several levels when I realized that there was a chance Bioware might just muck this up. Eventually FemShep 5 won, a blond with luscious long hair. And – there was a riot in the fandom. Others, like myself – didn’t want a blond Shepard. Most of our Shepards weren’t blond. Mine was a red head. Most of my friends’ were red heads. Most of the fan fiction that I read had red heads in them. Red was the colour – and it was not there. 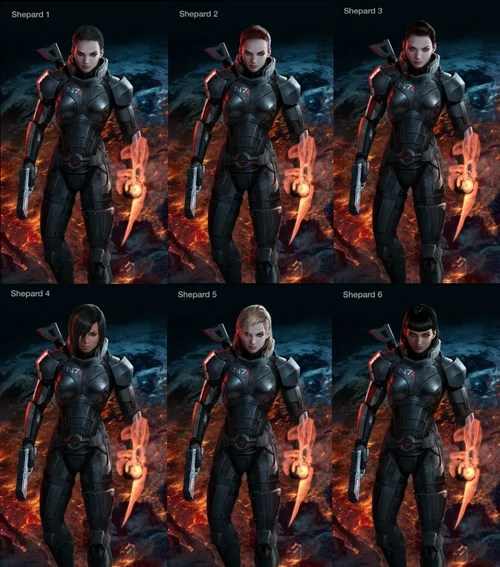 Luckily, Bioware seemed to have realised its mistake (after several articles like this one: http://n4g.com/news/813253/mass-effect-3-death-to-blonde-shepard) and gave us a second round. And, this time – we could choose our colour. Naturally, I leapt in there immediately and showed my support to my fellow ginger ninja. And, it seems that – to date – the red head is winning, now by almost 5000 votes. The blonds are lagging FAR behind and the only one that is mild competition (and a pretty good second I should add) is brunette. Seems that I’m not the only one who doesn’t want a blond to run around and save the galaxy. And, don’t get me wrong – it’s not that I have anything against blonds, (we all loved Pamela Anderson in Baywatch), but I like to know that writers, creators and all of the other story tellers out there are sticking to what they started. If you give clients a specific image, don’t change it halfway through. Stick to what we know and love.